My company will always focus on this industry because I believe by obtaining and retaining good talent for clients it makes a difference in the quality of patient care which is the bottom line of what this industry is really all about. With 23 years of experience in talent acquisition and placement in technical fields Jenifer Brown is branching out on her own. For the last 19 years she has specialized in Healthcare´s medical equipment service industry which will be the focus of her new company: Health Tech Talent Management, LLC. Covering the nation for this industry she has built a strong relationship base from Hospital Systems, Service Organizations, OEMs, and the Military. Jenifer Brown was most recently a Senior Talent Acquisition Manager with ARAMARK Healthcare, Clinical Technology Services for close to twelve years. Previously she worked with Search Firm Agencies as a Marketing Director and/or Recruiter. Also in her past she was the Technical Career Advisor for five years at ECPI College of Technology to include Biomedical where her focus in the industry started. 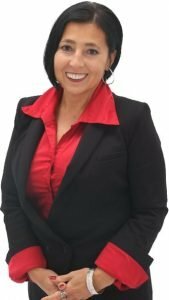 During these past 19 years Jenifer Brown has been a Speaker and Career Consultant at the National and Regional Conferences such as AAMI and MD Expo. Her presentations were well attended covering topics for both employers and candidates:” Building a Team”, “Diversity in Hiring”, “Technical Resumes and Interviews”, and “Selling Yourself in This Economy”. She has also written “Industry Expert” columns in both Tech Nation and 24 X 7 as well as articles for AAMI publications.